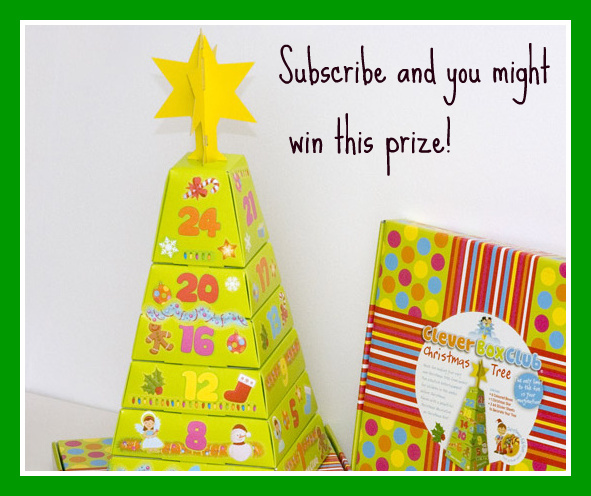 Clever Box Club have teamed up with the Jack & Jill Foundation to create this fabulous Advent Tree. It would be fantastic in a classroom or in any playroom or bedroom. The Jack and Jill Foundation provide care and support for children with severe neurological development issues, as well as offering some respite to the parents and families. Build up the six boxes to form a Christmas tree, your child decorates one side of a box each day of Advent, finishing with a beautifully decorated Christmas tree to be topped with a star on Christmas Eve. As a Christmas present from missmernagh.com shall be giving away 2 of these Advent Trees. The draw is available to all subscribers so SIGN UP NOW if you have not already done so! The Closing Date is Thursday 24th November to ensure that it arrives on time!